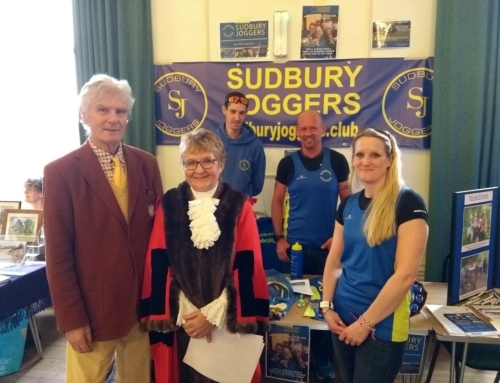 Sudbury Joggers’ participation in races this past week was limited due to the Easter bank holiday and because many were involved in organising the Sudbury Fun Run and sponsored walk. 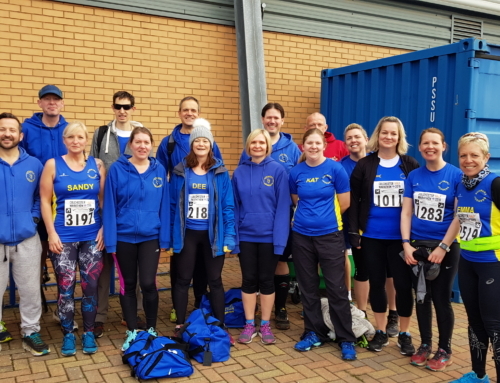 Wednesday’s club run night on March 28th, 2018 had a Star Trek total of 47 Joggers running (22 women and 25 men) with several others inside the Kingfisher Leisure Centre giving out Sudbury Fun Run racing numbers. 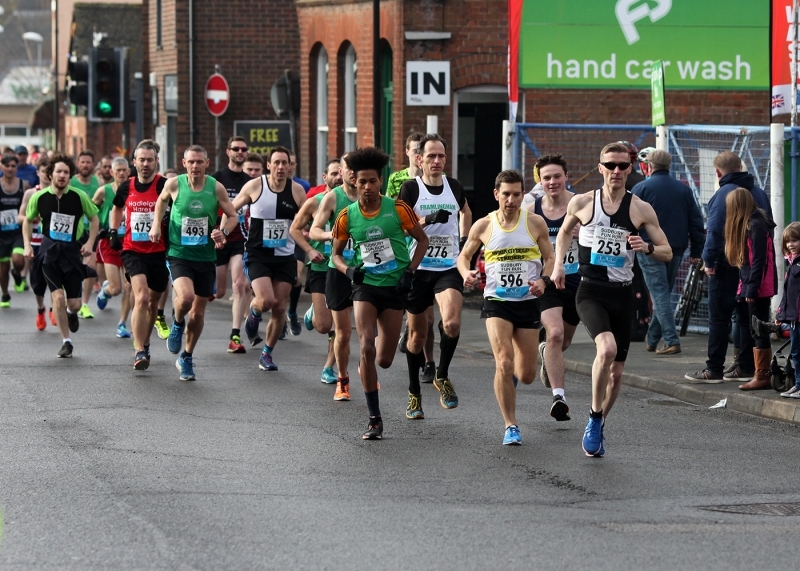 The Sudbury Fun Run saw, for the first time, over 500 Runners run the 5 miles around Sudbury and Great Cornard. We also had over 100 Walkers participating in the sponsored walk. We’re pleased that everything ran smoothly on the day where we had no injuries and best of all, no rain! Despite many of our members assisting in the running the Fun Run, we had 24 members of Sudbury Joggers participate. Although the final results will for the Sudbury Fun Run will be available soon, Todd Lewis just missed out on a place in the Wardale Williams trophy for the over 55’s, coming in 4th place. Well done to all those that took part in the Sudbury Fun Run and the Sponsored Walk. And a HUGE thank you to all those members that helped out, not just during the event but pre and post race. The 2018 beneficiaries of the Sudbury Fun Run are The Eden-Rose Coppice Project, Number Seventy Two and ActivLives. One member of Sudbury Joggers that did manage to join a race that was not the Sudbury Fun Run was Samantha Cooper. Samantha ran the Dunerunner’s Nelson Knee-Knobbler in the Canicross category with a girl’s best friend, Mr Fluffypaws. Mr Fluffypaws and Samantha finished the 6 kilometres in 43 minutes and 32 seconds. On Saturday, we have 14 members of Sudbury Joggers run at Great Cornard parkrun and the participants were Kieran Hayles, Richard Smith, Peter Davy, Lucy Cowlin, Todd Lewis, Hugh Turner, Jonathan Price, Cliff Manning, Julie Rout, Melonie Evans, Jennifer Merry, Steve Roberts, Trevor Pillet and Lisa Dalton. Melonie Evans ran the Great Cornard parkrun at the end of her 20 mile morning run for her training for the London Marathon – Melonie got the 2018 club spot at the London Marathon. 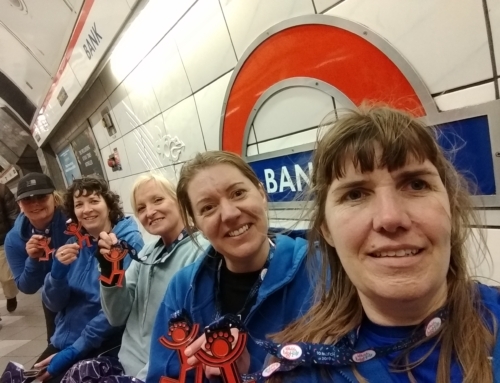 Bec Hender, Cliff Manning, Josephine Cheshire, Jacquie Webb and Jenny Merry all were up early to help support Mel with her long run. Well done to you all. Our members don’t only run at our local parkrun in Great Cornard, they also visit other parkruns too. 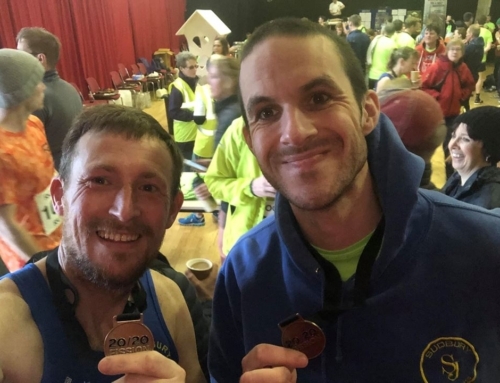 Sandy Thorogood and Andy Glass ran over at Clare Castle parkrun, Claire Rooke ran at Gorleston Cliffs parkrun, Darren Barfield ran at Hadleigh parkrun, Ruth Cowlin ran the Harwich parkrun and Dominic Turner ran Holkham parkrun.